The yoga teacher training program is conducted as a series of weekend workshops over a 2.5 year period. The program is conducted by Shayna Ogden, senior Iyengar yoga teacher. 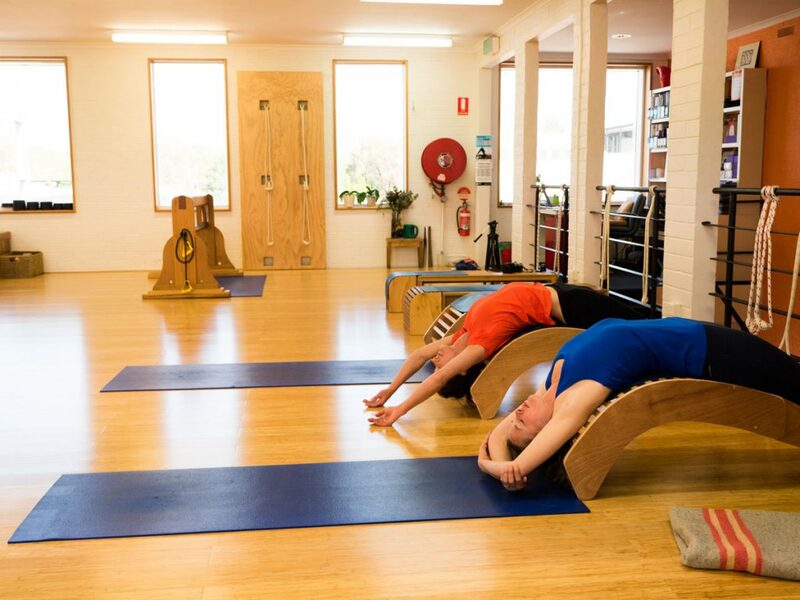 The course is designed to meet the teacher training requirements of the Iyengar Yoga Australia, which requires that students attend 300 hours of a yoga teacher training program. Please refer to BIY terms and conditions before joining teacher training. These intensive classes are suitable for those who have some previous yoga experience. If you’re a new beginner, we recommend our Beginners Yoga Course. This series of classes are specifically designed to help students who have completed a Beginners course and those currently attending General or Experienced classes to develop a stronger understanding of asanas and pranayama. Please refer to BIY terms and conditions before joining an intensive class. Shayna will return to Continental House to teach this three day yoga retreat. The retreat runs from 4pm on Thursday 28th June to lunchtime on Sunday 1 July 2018. Attend 9 classes over the 3 days, get fed amazing vegetarian food, share time and conversations with like-minded people, and relax in a beautiful and tranquil environment. Attending a residential yoga retreat is an excellent way to get away from the distractions of everyday life and deepen your understanding of yoga. Please refer to BIY terms and conditions before buying a retreat package. All you need is six months yoga experience.